Unisex Black leather and silver bracelet. 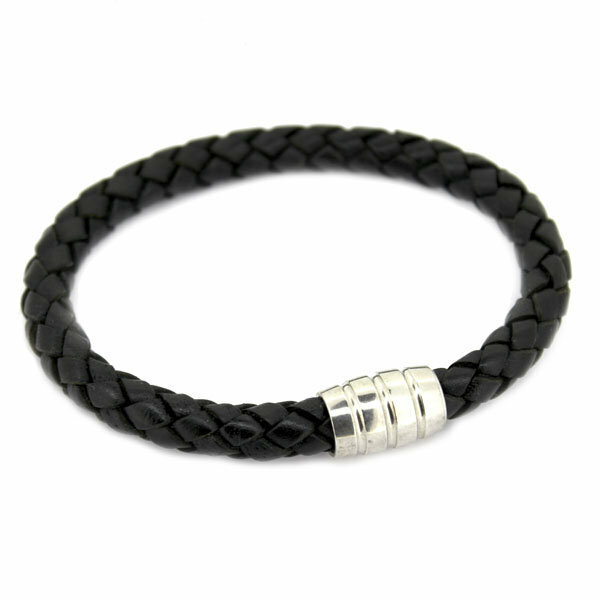 Bracelet braided wide double black leather, zippered silver rhodium-plated 925 thousandths. Excellent complement both for man and for woman. 22 cm with magnet clasp leather bracelet.